Joshua Smith, voted top 30th Realtor in America by the Wall Street Journal and recognized as the top 1% Realtor worldwide, has established an incredible following with his brand GSD Mode and along with being a successful real estate agent he has pivoted into the role of a serial entrepreneur. From coaching programs to software development, everything Joshua is doing can be traced back to one core belief: massive goals with massive action and refusing to ever be satisfied. Joshua's podcasts are devoted to interviewing top brokers and high-level entrepreneurs, going in-depth as to what they are doing to raise their game and create success. He talked with Adam in October and you'll find in this conversation tips about personal development, producing, and what's coming next for the real estate game. Click through to find out what these two successful businessmen have to say! 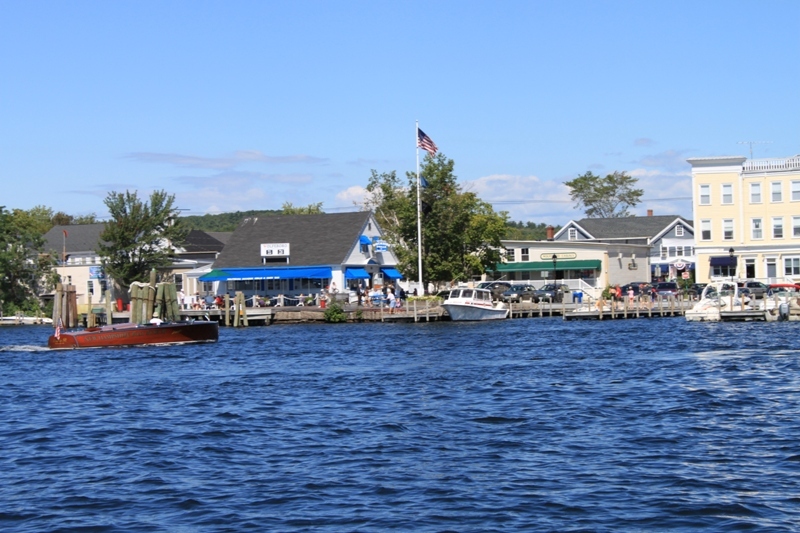 There is been positive activity on Lake Winnipesaukee in 2012, but mostly in the under one-million dollar category. The number of sales in the first half of 2012 almost doubled over last year! Well, Mitt Romney is here this week and I here Jimmy Fallon is too, which means more exposure for our wonderful region. He has been the creator of the Boat Show Poster for years and has captured many beautiful scenes on Lake Winnipesaukee and of the lakes region with his brush. They make great closing gifts. For example, I would give the Wentworth Poster above to a client who purchases on Lake Wentworth. I can usually find a Ferber Print matching where the waterfront clients have purchased. This Saturday, The Art Place is hosting a Peter Ferber event, not to be missed. Click here for the press release on Fosters.com or click here for information about The Art Place in Wolfeboro, NH.